Sometime this week—maybe Wednesday, maybe Thursday—a Supreme Court ruling could fundamentally change how you get to see on free over-the-air television. 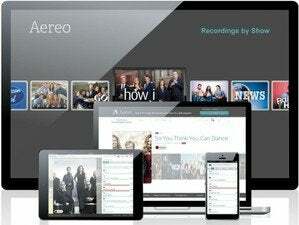 The pivotal case pits over-the-air-broadcast-TV streamer Aereo.com against the Big Four U.S. TV networks (ABC, CBS, Fox and NBC) in a dispute over the way Aereo captures and records over-the-air TV for streaming over the Web. Aereo charges its subscribers for this cable TV-like service, but doesn’t pay the networks for their content. Mindful that cable TV companies and others pay $3 billion to license broadcast content, the Big Four argue that Aereo.com is stealing their OTA content. The two sides made oral arguments before the Supreme Court back in April. With the court set to adjourn for the summer next Monday, the clock is ticking on the nine justices to hand down a decision. The networks’ appeal to the Supreme Court is a true ‘Hail Mary’ pass. Lower courts have supported Aereo’s claim that its use of millions of subscriber-controlled micro-antennas to receive the content that it subsequently stores and then serves makes Aereo nothing more than a 21st century VCR. If the Supreme Court agrees with that opinion, Aereo could keep streaming OTA content without paying the Big Four a dime. It’s unclear exactly which way the court is leaning on the Aereo case. During April’s oral arguments, some justices seemed skeptical of Aereo’s business model, while also wondering if a ruling against the company would have broader impacts on other cloud-based storage businesses. One thing is certain: Expect all hell to break loose if the Supreme Court upholds Aereo’s position. Its could mean that anyone with the right receiving technology could grab OTA signals for free and sell them—much as the cable TV companies did in the earliest days of their industry, before the broadcasters managed to put the legislative screws to them. In response, broadcasters will be motivated to keep their best content off-air, potentially putting it behind some form of pay-per-view. If this comes to pass, professional sports could be the first to disappear from the free airwaves. The fate of OTA TV may be decided this week. Stay tuned!